We invite residents of St. Petersburg and their guests to the city to visit the Sheremetev Palace Museum of Music (Fontanka, 34) and to take tours and participate in interactive activities! The elegant palace was built in the mid-18th century, and it sits on the bank of the Fontanka River behind an openwork fence. It is one of the oldest buildings in the city; in fact, it is as old as the imperial palaces of St. Petersburg, Peterhof and TsarskoyeSelo. You will see ceremonial interiors designed by the renowned architects Starov, Voronikhin, Quarenghi and Corsini, that have been reconditioned by modern restorers. The Counts Sheremetev, the owners of the palace, were from a famous Russian family that contained many notable figures. Field-Marshal Boris Sheremetev, an associate of Peter the Great and the first Russian count, founded the estate. His descendants lived here, including his children, grandchildren, great-grandchildren and great-great-grandchildren, who entertained members of the Imperial family, prominent musicians, diplomats, scientists and clergymen here. The Sheremetev Choir brought particular fame to this house. They accompanied church services in the house chapel with their singing. Sheremetev Palace preserves the memory of Praskovya Zhemchugova, an actress at the Sheremetev Serf theater who later became Countess Sheremeteva. 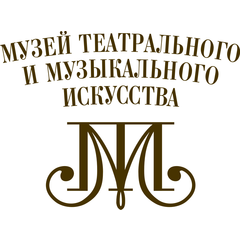 Today, the Fountain House - Museum of Music (a branch of the Museum of Theatre and Music) displays Sheremetev relics and a unique collection of old musical instruments to visitors to the estate. Tours and classes will be of interest to both adults as well as children of all ages.